Shannon Wasser of Ramona, California crept up to a tree in a parking lot as stealthily as a thief, yet she wasn’t there to steal. 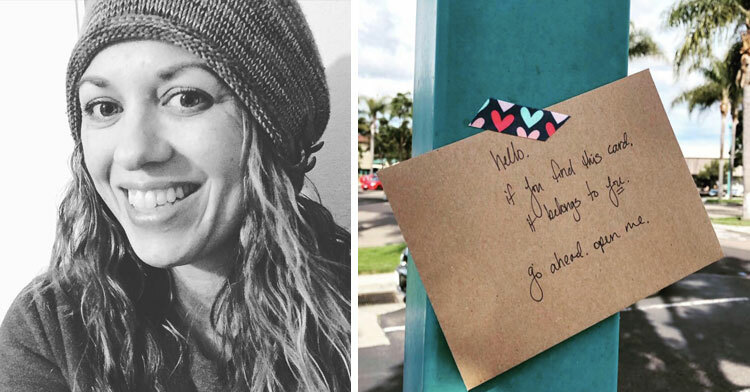 Instead, she left something behind to benefit a stranger she will never meet. Years ago, Shannon found herself on the wrong path in life. She’d fallen into drug use, wasn’t taking care of herself properly, and her mental health suffered with each passing day. 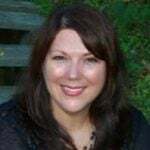 After she turned her life around and married her husband Jeff Wasser she felt a desire to help those who were still fighting the sort of demons she herself had only recently conquered. 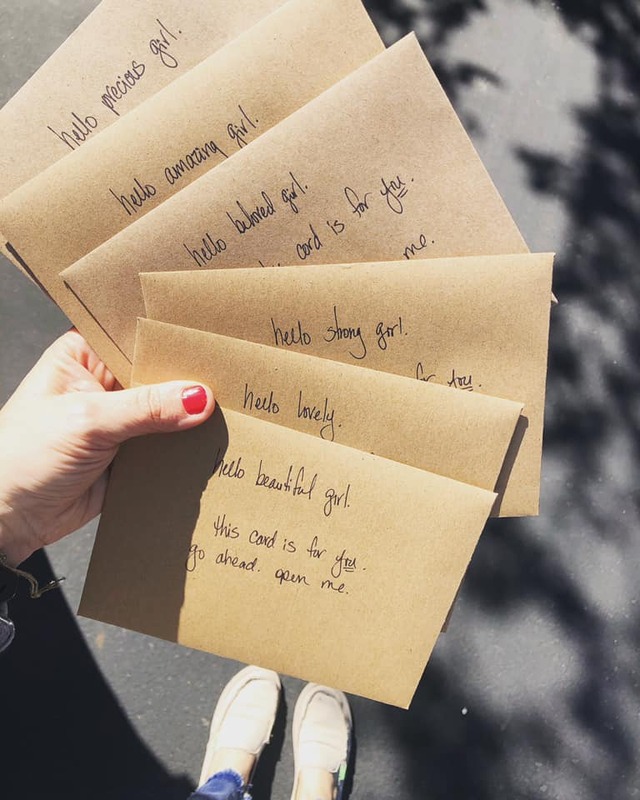 Now a mother of three, Shannon spends her free time writing beautiful messages of hope and placing them around the city of San Diego, California. 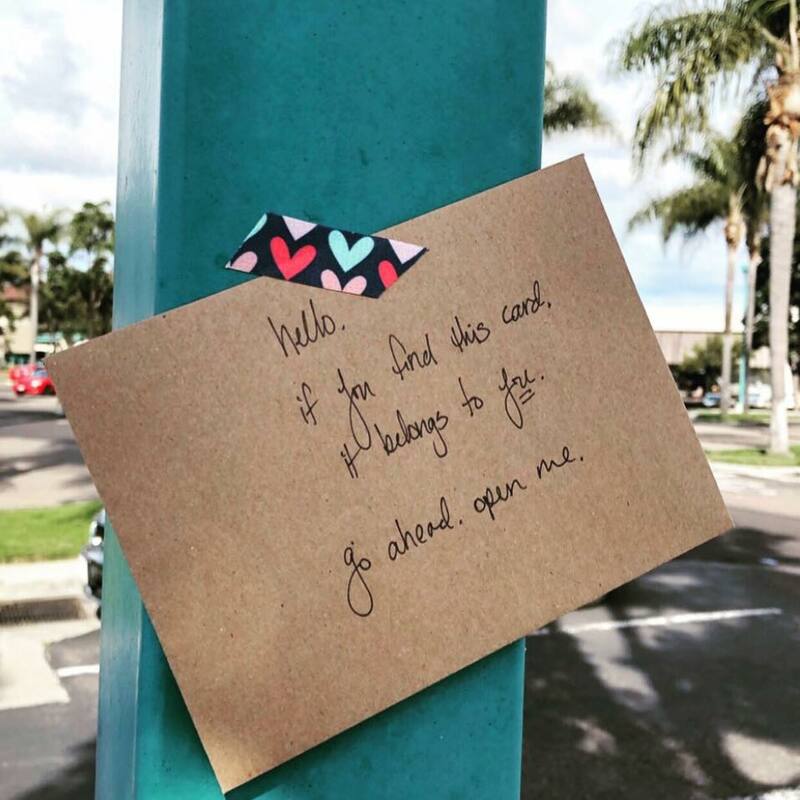 She places her notes on telephone poles, trees, and bulletin boards — anywhere she thinks someone might happen upon them by accident. Her goal is to give people who are feeling down a burst of hope and love when they need it most. 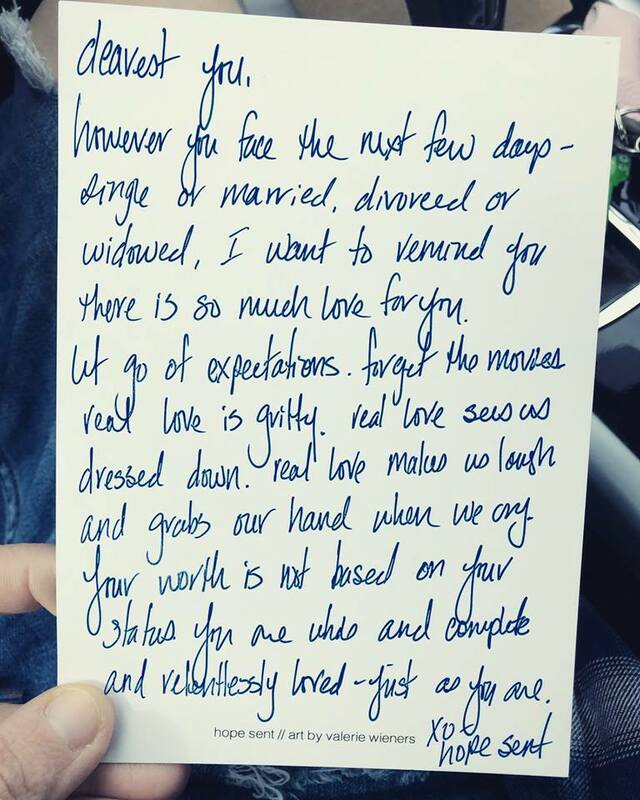 Cyrstal Turk was one person who happened upon one of Shannon’s notes in the parking lot of her local Walmart. The young mother was struggling to pay the bills while her husband is incarcerated, and she says finding Shannon’s note was like seeing a rainbow stretched across a cloudy sky. “It does bring hope into my life, and it restores my faith in humanity,” she said reverently. Shannon doesn’t sign her notes, ending them with the simple sentiment, “Hope sent.” For those who find the notes it’s enough to know that a stranger out there loves them. 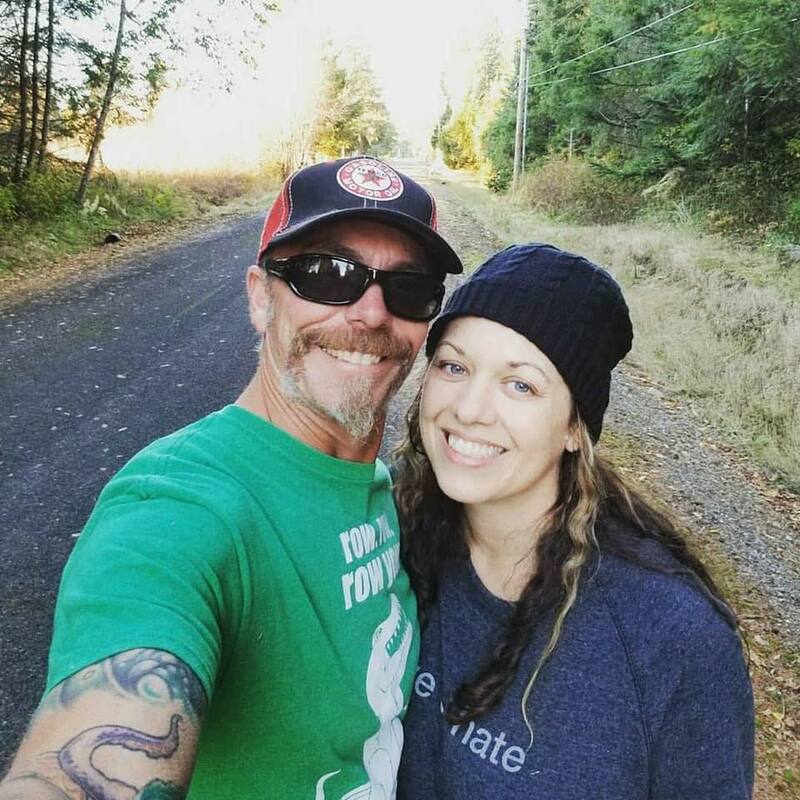 Even when the world seems dark and cold it’s a nice reminder that there are people like Shannon out there; people who have been through the darkness and came out ready to help others find their way as well. Join Shannon’s movement on her Facebook page Hope Sent. People just like you are starting to send hope to people in need in their cities all over the world. 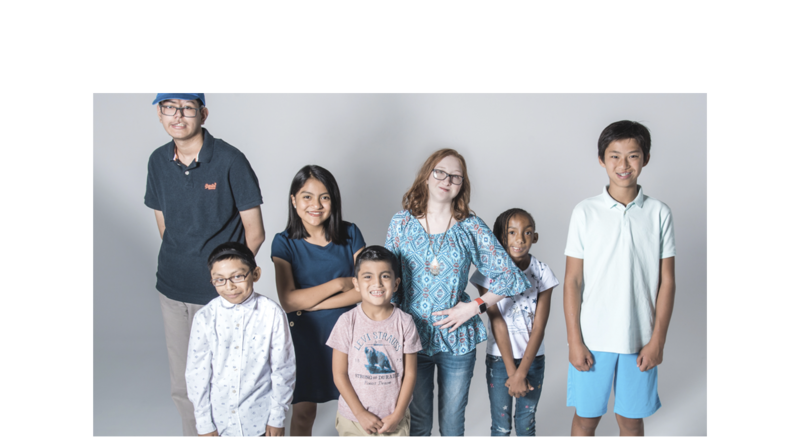 Watch the video below to learn more about Shannon’s notes of hope, and be sure to share this inspiring mission with others.